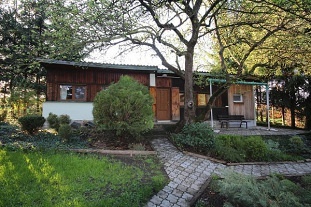 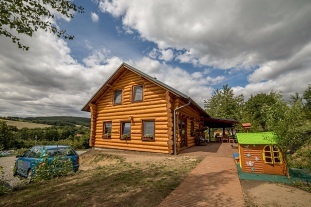 Rental cottage Chřibalka - Buchlovice. 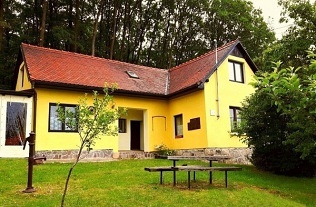 Cottage in a recreation area Smraďavka - Slovácko. 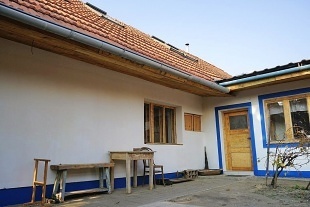 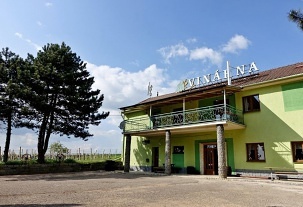 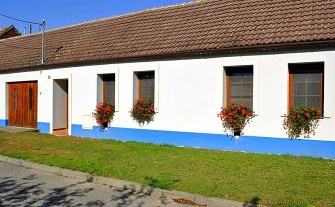 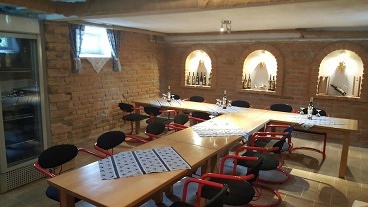 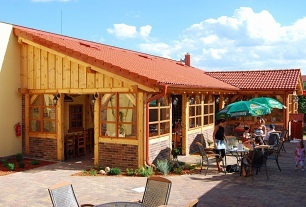 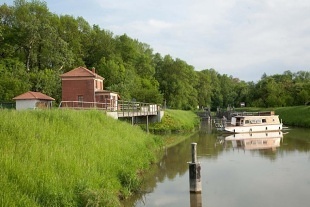 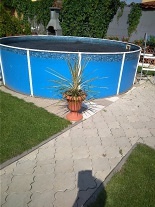 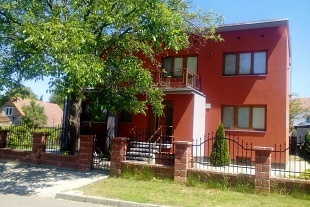 Accommodation cottage southern Moravia. 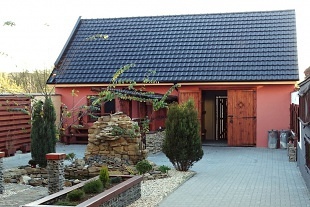 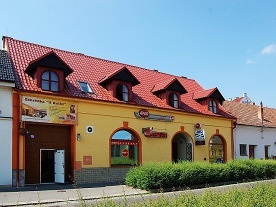 Chřibalka family cottage is located in the heart of Slovácko in Smraďavka recreation area. 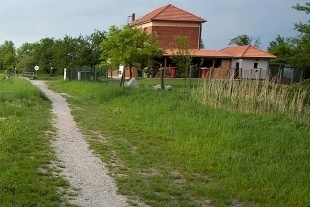 Throughout the year, you can enjoy an active rest on the sunny hillside with a magnificent view of Smraďavka Dam and Chribi Forest. 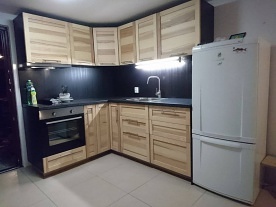 The building has three floors, the first is a fully equipped kitchenette (electric stove with oven, fridge, microwave, kettle, coffee maker) and lounge with dining table, sofa bed (with 2 extra beds), TV + SAT and Hi-Fi. 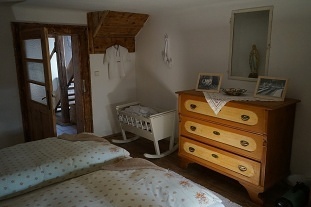 The cottage has a total of 5x 2-bedded bedrooms, of which 1x on the ground floor and 4x in the attic. 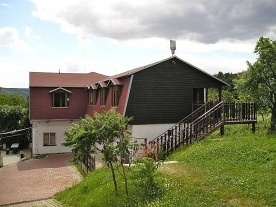 One attic bedroom goes through the other bedroom and there are 2 single beds, and in all other bedrooms you can find double beds. 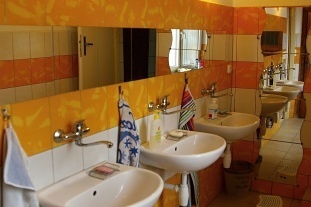 The sanitary facility consists of a bathroom with shower and toilet. 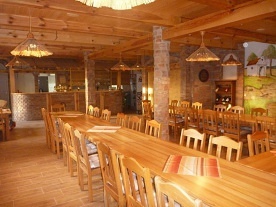 Heating is provided by electric heaters. 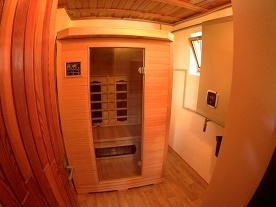 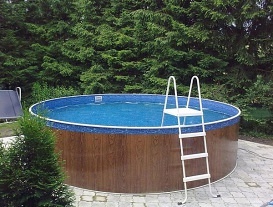 In the basement of the cottage there is an infrasauna for 4 persons and a relaxation room. 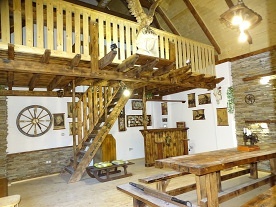 Darts and party games. 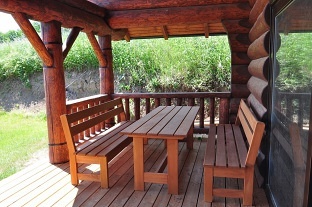 There is a large open-air terrace with garden furniture, a portable grill, a fireplace with a seating area, a storage room for sports equipment and a sandbox. 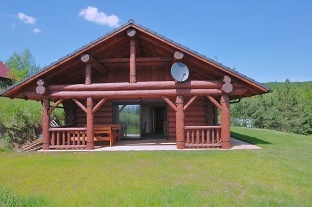 Parking is available directly at the property. 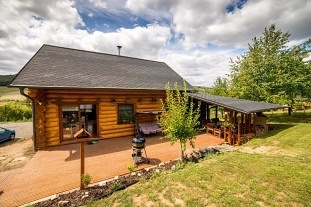 With its location and equipment, the cottage is ideal for hiking, cycling and relaxation.